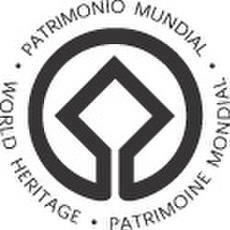 UNESCO NEW SITES 2012, BUT FOR GHANA NOTHING….AGAIN! But 12 years have passed and still nothing…..Just what is Ghana Commission for UNESCO doing? But it’s this I want to bring your attention to. I call it the CAPITAL TRAP, an addition to the 4 traps that the Paul Collier’s bottom billion fall into. Just read the description on the UNESCO site for the Forts and Castles in Ghana. So, notice any bias, any omissions…..
And lastly, congratulations to Grand Bassam, Ivory Coast, for its inscription this year. But let’s bring the celebration closer to home with mention of a past guest, Els Slot, whose passion was to visit ever UNESCO site in the world. And that’s what brought her to Kumasi and Four Villages Inn. Anyways, let’s hope Els doesn’t have to wait too long to return to Ghana. I have an update for you from the world heritage front regarding Ghana: “Tongo-Tengzuk Tallensi Sacred Landscape” has been nominated for 2013. Unfortunately, the documentation submitted was incomplete, so it will no be up for discussion with the Unesco WHC next year. Good to hear from you. Thanks for the update. Needless to say, I will make the community here aware of this development…Hope you are well and that we will meet again one day when the Tongo-Tengzuk Tallensi Landscape gets recognized as a UNESCO World Heritage site. So it’s been on the books for a while….surely the documentation could have been completed after all these years…it’s no wonder USAID pulled out of tourism support a number of years ago!